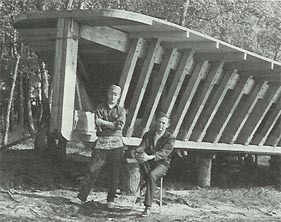 In July 1968, Wisconsin artist Gerry Matthews and historian A.J. 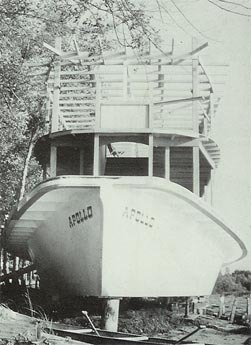 Abrahamson decided to recreate the 1898 Apollo I steamship. 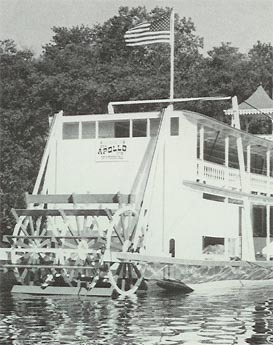 The Apollo had sunk along the Wisconsin Dells, but they recreated the vessel from old photos, personal recollections, and metal parts that divers could recover from the muddy bottom. 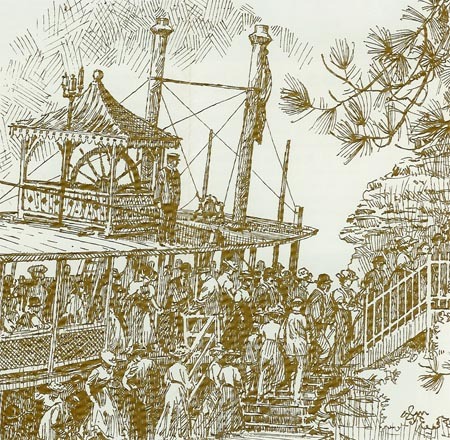 Matthews said: "All the work on the engines and the design had to be approved by the Coast Guard. 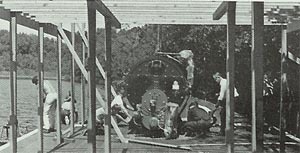 All of the pieces of the two engines had to be indivually cast." During construction, Gerry Matthews earned his Ship Master License. 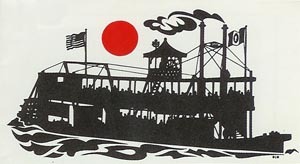 He launched the boat July 21, 1972, exactly seventy four years to the day after the orginal boat launched. It was the same day that NASA launched Apollo II, putting the first man on the moon. It was also Matthews' birthday. The APOLLO II had a short life and sad demise with little documentation available on the true story behind the story - the reasons why Matthews built it in the first place and what became of it. Editor's note (7/6/2016): the granddaughter of Gerry Matthews wrote to us with more information! click on the link to learn more. Learn more about Gerry Matthews - click here.